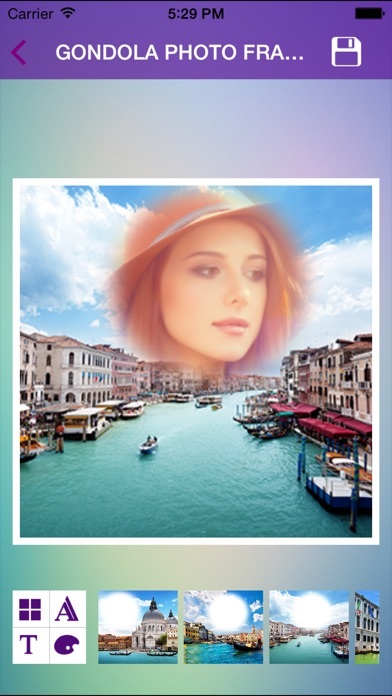 Gondola Photo Frames Gondola is a traditional, flat-bottomed Venetian rowing boat, well suited to the conditions of the Venetian lagoon. The gondola is propelled like punting, except an oar is used instead of a pole. Ever enjoyed Gondola rides. If not, then download this beautiful crafted application. We are sure that you will love it. 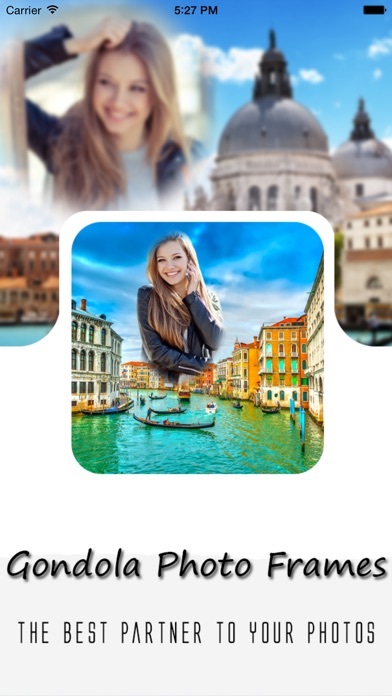 Create special moments of your life by embedding your images in Gondola based themes. Choose picture from gallery or take a picture using camera. Apply the best Gondola frames which are so cool. Save your new picture and share it instantly on social networks like Facebook or Twitter!